Those Serbs who believe that this compromise is necessary for the progress of the Serbian nation are not only forsaking their own cultural ancestry, but they are exchanging them for short-term gains that will neither create a better future for the Serbian people nor bring peace or stability for this region of Europe. This arrangement, in fact, is eerily similar to the one promoted by Milošević for Krajina, Croatia in 1995. We know only too well where that led: to ethnic cleansing and war. If the European Union and the United States agree to back the partition plan currently being discussed in Belgrade and Priština, it would be the first time since the end of World War II that the international community supported the creation of ethnically and religious pure territories in Europe. European politicians should know only too well that these kinds of “final solutions” are reminiscent of the darkest periods of European history. They should recall that brokering these “solutions” directly impacts the lives of real people. And they should think carefully about the impact of carelessly redrawing maps in restaurants or in their private offices. Should we not be concerned or do we not realize that a similar proposal for population exchange was supported by Serbian and Albanian ultra-nationalists during the Yugoslav Wars of the 1990s? It is also no wonder that the idea of ethnic and territorial delimitation, which is nothing other than a form of ethnic cleansing, is supported precisely by those internationals who advocate extreme nationalism and populism either in Europe or in United States. To be clear, I am not proposing that the answer lies in a simple recognition of Kosovo independence as it presently exists. To do so would be to reward the former Kosovo Liberation Army. It would also give license to the unjust treatment of Serbs and other non-ethnic Albanians who exist as second-class citizens within their Kosovan homeland. Rather, we should collectively pursue the rule of law, democratization, and human rights according to the best international standards. Only in this way will we be able to begin a discussion about constructive solutions that would advance the future of all citizens. Without the implementation of the rule of law and adequate protection of all citizens regardless of their ethnic or religious affiliation, it is very difficult to speak of any kind of peaceful settlement. This was and remains the greatest danger of the current plan for partition or delimitation. It is immensely regrettable that the protection of Serbian Orthodox monasteries and their cultural heritage in Kosovo has never been discussed in the Brussels talks. The lack of concern for the most important segment of Serbian Orthodox spiritual tradition and culture is both incomprehensible and without excuse. The Serbian Orthodox Church has never been officially consulted in this dialogue, even though the Church was directly included by one of the former Governments of Serbia during the Vienna talks on Kosovo in 2007, and was then given an important role in finding appropriate methods of protection. It is clear that apart from the existing laws, which are enforced with international assistance, much work needs to be done in order to establish the best means of protecting cultural heritage in a way that unites people and, at the same time, protects the identity and freedom of religious communities, which have used these sites for their worship for centuries. Thanks to the principles of the Ahtisaari Plan, certain elements of protection for our heritage were included in the Kosovo legal system at the insistence of the international community. It remains the case that many of these laws are not fully respected or implemented. 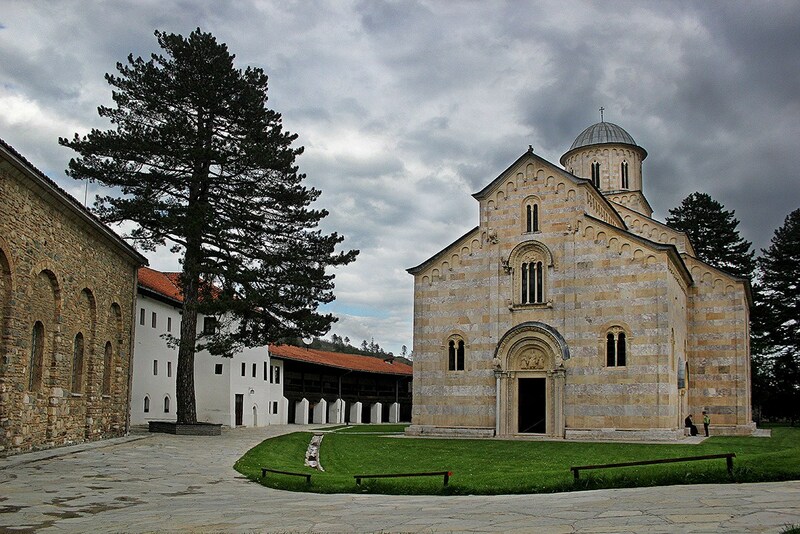 One of the most obvious examples of this is the persistent refusal of the municipal authorities in Dečani to record in their cadaster land that was recognized as belonging to Visoki Dečani Monastery by the Constitutional Court of Kosovo in 2016 following a 15-year court battle. This is also seen in the many attempts to endanger the special protective zone around Dečani Monastery by turning the local village road into a major international highway. It is precisely for situations such as this that UNESCO opposes the construction of major thoroughfares next to the important heritage sites. It is from all of this that the Serbian Orthodox Church’s stance on Kosovo and Metohija springs forth. This stance was clearly and unambiguously formulated by the Holy Episcopal Synod in May of 2018 and remains the same: that without the creation of proper conditions for normal lives for the people, the protection of heritage and the freedom of religion, any kind of other political discussions are completely unrealistic and morally unacceptable for the foreseeable future. In no way does the Church’s position advance a “frozen conflict,” as some have incorrectly suggested. Rather, our position is one of basic human rights and religious freedoms as a pre-condition. We insist on developing a solution that will not just become problem unto itself and further destabilize the region. Fr. Sava Janjic is abbot of the Dečani Monastery in Kosovo.